Cut to the Chase... How Do I Start a Nonprofit Organization? There are tons of tutorials and walkthroughs aimed at helping you start a nonprofit organization. But, so many of them are focused on selling you services that it can make the process seem confusing. Nonprofit Websites CEO, Jose Gomez, takes a few moments to review the most critical steps to help you start your nonprofit organization the right way as fast as possible. Out of the over one million nonprofit organizations in the United States, most of them are in the process of formation or are not formally structured in a way that allows them to operate and function as an organization. Many times, this stems from the fact that the organizers did not have a clear sense about how a nonprofit is formed and what initial considerations need to be addressed when establishing a living, breathing nonprofit. Today, we’ll explore the most critical questions you should ask yourself when starting your nonprofit and how to best answer them. Question 1: Why does the world/community need your nonprofit? The very first question to ask yourself addresses the foundation of your nonprofit’s very existence. Yet, determining the actual need you want to address is sadly ignored by many nonprofits who start their adventure with what they want to give the world instead of what the world is missing. It usually starts with a hunch about a problem that needs to be addressed. Follow the rabbit trail from there to the need the problem creates. That root need is what we are looking for. Once you suspect the need, research the available solutions and why someone else hasn’t already solved this problem. Determine what people or institutions have this need and problem. Peel away the layers until you fully understand the need you are addressing, its impact on your community and world, the organizations and individuals currently working to provide solutions, and where your expertise, experience, and passion aligns with the possible missing puzzle pieces. Question 2: How will your organization address that need? The next step is to outline your solution to the core problems you identified. Your nonprofit can choose to fully address the core issues with a comprehensive approach or a portion of the problem with a targeted cure to one or more aspects of the root issues. Whatever approach you choose to take, start by outlining your approach using as few words as possible and using bullet points. Then, under each bullet point, explain each step in as much detail as possible. After you have your approach outlined, make a list of any resources you might need to execute on your approach. Those resources might be people, places, or things. As you write them down, be sure to put the name of the specific resource you intend to use next to each one. For example, if you already have a venue, write something like, “Venue: Sickles High School”. This will help you later to quickly identify which resources you still need to find. Question 3: How will you pay for your solution to that need on a regular basis? This question is usually skipped over by most organizations. They figure that the problems are so evident to others and that their solution is so clear that money will just come flooding in from everywhere. The reality is that most nonprofit efforts are severely underfunded. They are funded by the people doing the work. However, billions of dollars are available for nonprofit organizations who can demonstrate their ability to solve real problems in a meaningful way. Choose a funding model and write it down in as much detail as possible. Question 4: Who will lead these activities? Every organization, whether you have a business or a nonprofit organization, needs a leadership team. This is the team that is responsible for results and progress of your mission. They will create the vision and stated purpose of the organization. They will measure how effective your approach is to solving the problems and adjust it as needed. In the beginning, they will be your team. Avoid the temptation of starting your journey as a nonprofit founder alone. If your solution is great, they will validate it and run with you towards success. Your job as a team leader is to empower and serve your leaders as well as the resulting teams and committees created to serve your organization. Put away your ego. The nonprofit life is far from glamourous and will require you to focus your efforts on vision and funding at the very lowest levels. So, roll up your sleeves and strap in. It’s going to be a bumpy ride! Once you have answer these questions, it’s finally time to organize and form your nonprofit. Here are the very basic steps you will need to go through to get the ball rolling. Determine who your initial directors will be. Incorporate your nonprofit in your state. Obtain an EIN from the IRS. Create your accounting files using software such as QuickBooks. Hold your first board meeting. File for state tax exemption. Depending on your specific nonprofit type and scope, there may be other smaller steps to pay attention to. But, the above steps are the most critical and will serve to get your nonprofit off the ground and official. Your nonprofit organization exists to serve the greater good using the specific solution you want to provide to those who need it. 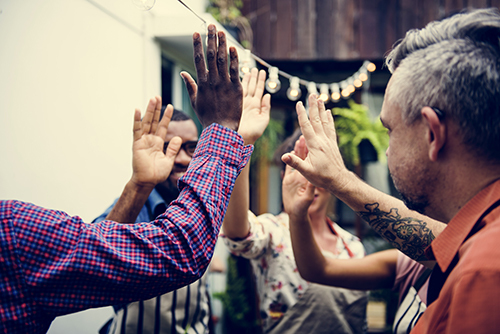 With the answers to the right questions, the proper funding, and a focus on results, running a nonprofit organization can be rewarding and fulfilling. Start off on the right foot and begin serving the world through your unique perspective and the collective talent of your team. Bonus Action Point: Sit down for a few moments and answer the questions above on a sheet of paper or in a Word document. Take no more than 5-10 minutes per question, then share your answers with someone who you want to work with. 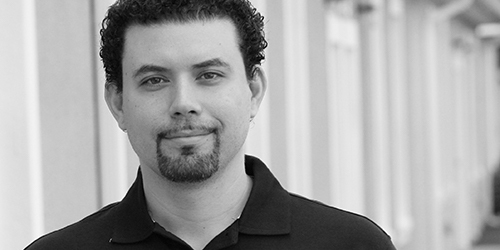 Jose Gomez is the CEO of Nonprofit Websites and NetMinistry. Since the 90s, Jose has worked with over 60,000 clients from around the globe to establish a web presence and market their message. His accomplishments include building several large online communities, building a niche career website in the top of its market and selling it to a large advertising network, and creating the 3nity Web Presence Platform which powers his companies' client websites. Jose is the author of The Church Internet Marketing Manual, The Nonprofit Success Blueprint, the host of The Smart Nonprofit Master Class podcast. He is one of the foremost experts in nonprofit web presence strategy and is highly sought after by top churches and nonprofits around the world. Need help planning your nonprofit website? Download our Nonprofit Website Planning Guide. Vision is the primary driver for any effort that has been successful. It fuels us to serve our communities and the world at large. But, sometimes, encapsulating and articulating it is difficult for many nonprofit founders, making it hard for others to follow them into the battle. Join us as we explore the world of vision, tour several examples, and learn how to effectively zoom in on the core pieces of the one you have. Would you like me to personally work with you to develop a system that will bring clients, members, donors, and constituents? I Want to Work with Jose! © 2017 - 2019 Jose Gomez - All Rights Reserved.